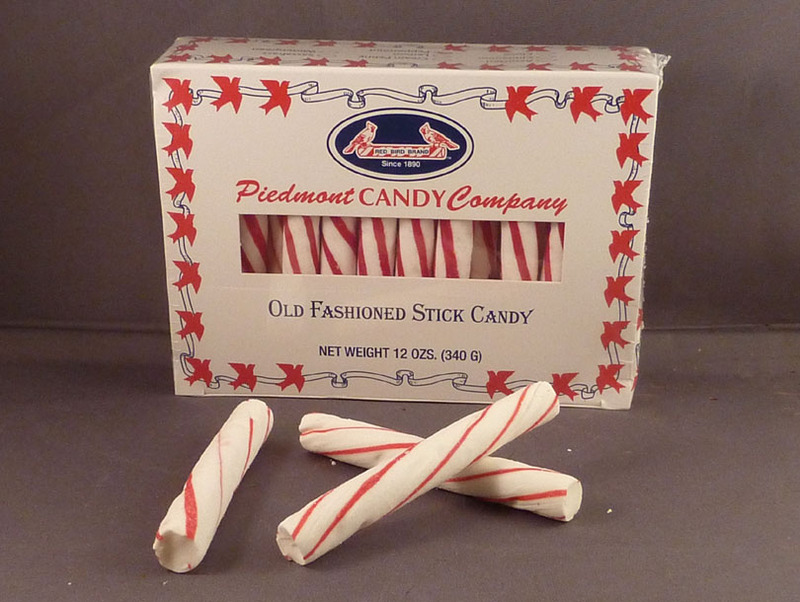 During the civil war period, one way peppermint candy was available was in the form of soft peppermint sticks. We have found a modern supplier who still makes these sticks. They come in boxes of with a total weight of 7 ounces. If you are trying to stretch your supply, they may be easily broken into pieces. These are excellent for a period treat for children or soldiers alike - the latter for a haversack stuffer - and, if you wrap several in paper, can be put in a box from home to send to a soldier in camp (For a full description of the boxes from home, go to the archived articles on the menu item "Articles: Virginia's Veranda" or click here). PLEASE NOTE: The packaging has changed so the number of sticks are reduced and the box does not look like the one shown in the picture. But it is still the same great peppermint.